As house prices soar and the mentality of “improve, don’t move” sets in, we’ve worked with an increasing number of clients who are choosing to extend their home by adding a garage. Properly planned and constructed, building a garage to can not only provide you with a safe space to store your car but give you a little more living space in your home and boost the value of your property. So, whether you’re here because you’re curious about the benefits of a garage or are already committed to creating another room in your house, we’ve put together a comprehensive guide to cover how to get started. Why is adding a garage to your home a good idea? A garage can also provide some much-needed storage space if your home is starting to burst at the seams, and is perfect for creating an extra space for occasional hobbies when there’s no room indoors. What do you need to consider when designing your garage? It’s recommended that you sit down with an architect when coming up with the plans for your garage. If you just want a simple space to store a car then you may be able to design and build this yourself, but for a garage that blends harmoniously with the rest of your property and accommodates more complex needs, working with a professional is going to make a big difference to the quality of the final building. The first thing to decide is what you want to use your garage for. Of course, most people simply want storage for their cars and Christmas decorations, but now is your chance to make room for any other things that would give you more space in your home. For example, could your washing machine or freezer move outside? Would certain hobbies (like tinkering, or music practice) benefit from a comfortable space in the garage? What about a home office? Work out what you would ideally like your garage to be for and use that list to inform your design – it’ll probably dictate whether you need insulation, utilities, windows etc. Obviously, the main thing to consider when planning your garage is how big (or small) you want it to be. Don’t forget to consider the size of your vehicle. As a guide, a small modern car – the Ford Fiesta for example – is typically 1.98m wide with mirrors and 3.97m long. A saloon like the Nissan Qashqai is 1.8m wide and 4.39m long, and people carriers (using the Vauxhall Zafira Tourer as an example) are closer to 2.1m wide and 4.67m long. Small single 8’ x 16’ (2.4 x 4.9m) Motorbikes, bicycles or sports equipment, storage space. Small cars may have to be parked to one side. Medium single 9’ x 18’ (2.7m x 5.5m) Small cars (and narrow medium cars) parked to one side with space for some additional storage. Large single 10’ x 20’ (3.0m × 6.1m) Will comfortably fit small and medium cars with passenger access. Larger cars should fit but may have limited passenger access depending on the model. Small double 16’ x 16’ Ideal for two small cars, or a single car with additional workspace or storage. Medium double 18’ x 18’ (2.7m x 5.5m) Suitable for two medium cars parked side by side. Large double 20’ x 20’ (3.0m × 6.1m) Depending on the model, two large cars should be able to fit comfortably. Alternatively, one car can be parked with a large additional workspace, storage area or entertainment area. As a guide, it’s a good idea to build the biggest garage that will comfortably fit in the space available (and is within your budget, of course). If it’s too small you’ll find parking difficult and struggle to open your doors, whereas you’ll always find a way to use extra space. • How will your garage affect access and light in your garden? • Have you taken roof overhang, guttering and drainage into account? • Will you need to remove shrubs or nearby trees? • Do you have an existing driveway you wish to continue using? 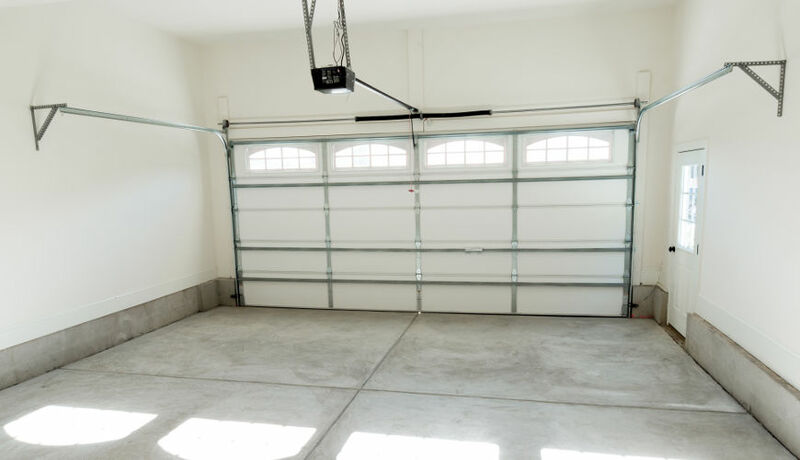 • Is space to safely open your garage door? Up and over doors can swing out over a metre. The best position for your garage may also relate to the specific features you want to include. Do you want electricity and plumbing inside? What about an internet connection, if you’re hoping to use it as a hobby space? Some homeowners prefer to have their garage set back from the house so that it can be built into their garden. You may not have enough space for a double garage, but an off-set entrance will mean that you can easily drive into one side and use the additional room for storage. • The structure is made from similar materials to the existing house. Of course, each property is slightly different so you should always check your designs with the local planning authority before proceeding. Don’t forget that your addition will need to adhere to building regulations, which aren’t the same as planning permission guidelines. Garages in the UK are typically made out of wood, metal or brick, with each material having its own benefits and drawbacks. For example, wood and metal garages are widely available as pre-fabricated kits. They are generally inexpensive (starting around £1,000 for a single garage), and the lightweight materials are relatively easy to self-build. However, they do not offer the same security as a permanent structure, nor will they be as comfortable if you intend to be in your garage for any length of time. Building a brick garage will be significantly more expensive (averaging around £10,000 for a single garage), but they will immediately add the same amount of value back to your home. A brick garage is also easier to keep warm, much harder to break into and may eventually be converted into a room of your house. The style and material of the garage doors you choose to install will also have an impact on the cost, energy-efficiency and security of your new building. Sectional garage doors are generally considered the most robust as there is no obvious point of access for breaking in. Installing an automated opening system (rather than relying on a traditional lock and key) offers a similar protection. If your home has very limited driveway space, you might prefer roller doors, which won’t ‘kick out’ as they open – meaning you can park much closer to the garage and still have good access. In terms of materials, you will probably want to factor in design as well as durability. Authentic wood doors offer a luxurious finish to your home, although they will require regular maintenance and come with a luxury price-tag. Steel doors are a very popular choice alternative, due to their relatively low cost and low maintenance requirements. 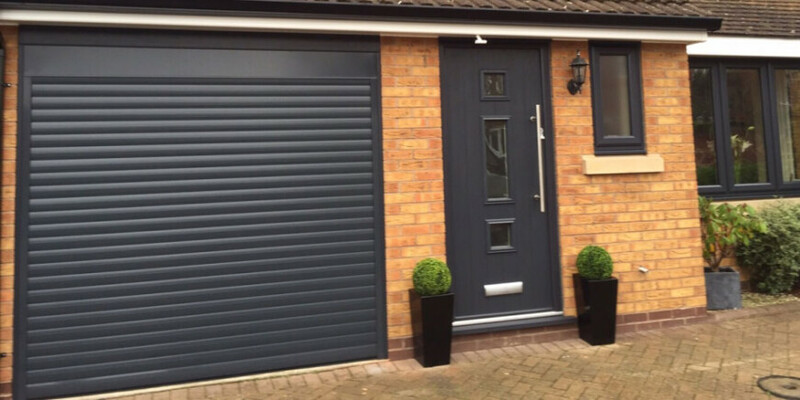 It’s also easy to find steel garage doors to suit the aesthetic of your home, as they are available in all kinds of colours and textures – even mimicking wood grain. Finally, GRP (glass-reinforced polyester) or fibreglass doors offer exceptional resistance to saltwater corrosion, so might be the best choice if you live on the coast. The cost of building your garage will vary greatly depending on the complexity of your project. Are you using an external wall of your home, or building from scratch? Is your intention to insulate and finish it so that you can easily convert it at a later date? 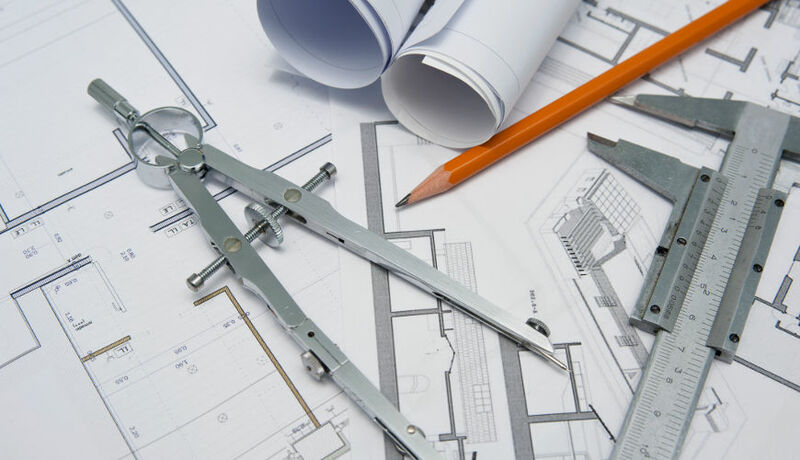 Will you be hiring a project planner, an electrician or plumber? All of these factors can have a huge impact on your final budget. As a rough guide, a single garage with a pitched roof will be about £9,500, while a double will likely be closer to £20,000. If you’re a confident DIY-er then you may be able to limit the labour costs, but if you choose to install full insulation and wiring then the total will obviously escalate. At Wessex Garage Doors, we have been working with private homeowners and commercial clients to produce beautiful garages for many years. Our speciality is supplying high-quality garage doors to keep your home or business secure and looking its best, but our extensive experience means that we regularly provide professional recommendations at every stage of garage construction. If you are planning to build a new garage, feel free to get in touch to discuss the best options for your home.